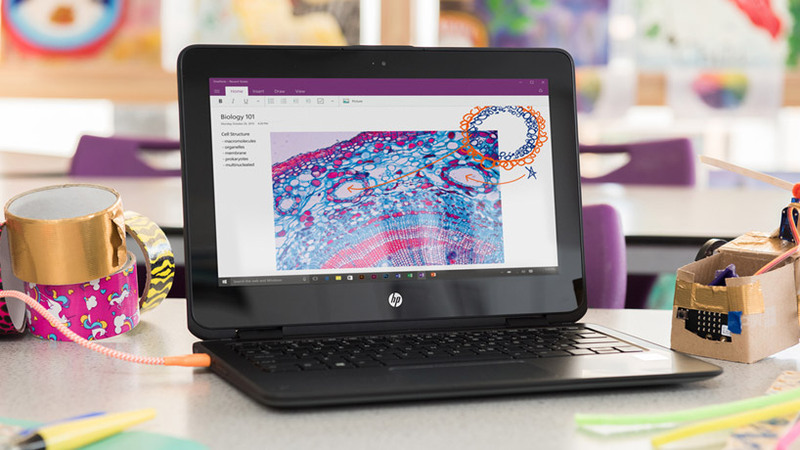 Unlock limitless learning with affordable Windows laptops or 2-in-1s, Intune for Education, and Office 365 Education. You'll have everything you need to simplify set-up and management, help teachers make the most of class time, and create engaged and inclusive classrooms. For classroom technology that's affordable, reliable and easy to use, choose a complete solution with powerful, secure devices, built to start up fast and make the most of class time. With best-in-class digital inking and collaboration tools, Windows 10 is the platform students never outgrow. 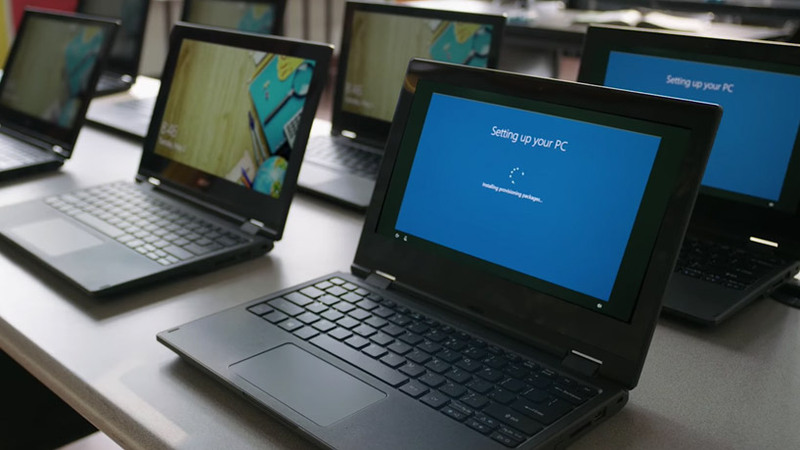 The new Windows 10 in S mode provides familiar, robust, and productive experiences streamlined for security and classroom performance. Bring conversations, content, and apps together in one place with Teams. Create collaborative classrooms, connect in professional learning communities, and communicate with staff - all from a single Office 365 Education experience. Manage policies, apps, and settings for all of your classroom devices - with set-up in just an hour. Every Office 365 Education license includes a free 90-day Intune for Education trial. Schools adopting Microsoft 365 see a measurable impact on classroom efficiency. A recent Forrester Consulting study found that teachers reclaimed over 200 hours each year - shifting valuable hours from administrative tasks to engaging students.